ACTIONFOR CHILD is located in hyderabad Andhra Pradesh . ACTIONFOR CHILD is registered as a Society at hyderabad of state Andhra Pradesh with Ngo unique registration ID 'AP/2013/0070714' . 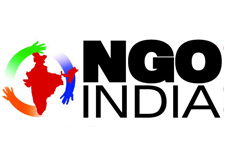 The NGO registration is done by Registrar of Societies with registration number 5041 on the date of 25-07-2001, Its parent ORganaisation is AARADHANA. The Chairman of ACTIONFOR CHILD is venkatramana and Chief functionary officer is gpwesley. Promoters are swaroopa rani, sarala, ,. working on child rehabilitation programmes for street children, rag pickers, child labour and urban deprived children. working o HIV awareness programmes. Working on vocational training programes for under-previleged adolescent girls.